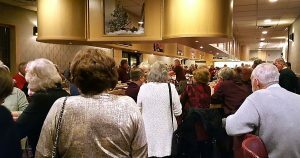 The annual Christmas Party for St. Vincent de Paul was at the KC Hall on Tuesday night 12/4/18. The entertainment for the night was a moving performance by the Cardinal Singers. 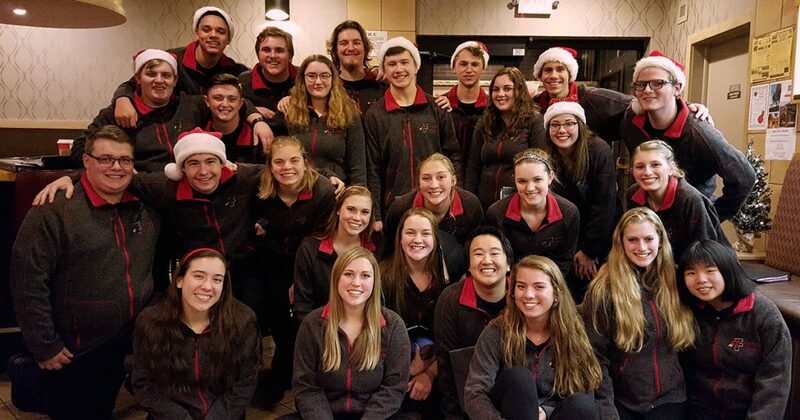 The Cardinal Singers are an amazing group of Fond du Lac High School students that sing a capella versions of popular Christmas songs. Robert Hartzheim (FdL Council President) and Bob Ramstack (FdL Council VP) dedicate the annual Christmas Party to all of the amazing store workers and volunteers that make St. Vincent de Paul what it is. 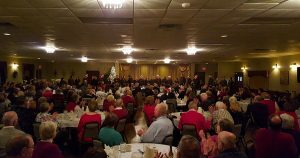 There were well over 212+ people that showed up for the Christmas Party! This is a only a percentage of the hundreds of volunteers, employees, vendors and other that help us, help others. A truly inspiring night that got everyone in the Christmas spirit! 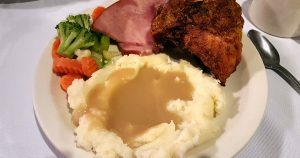 Many of us can relate to the Spirit of Christmas and like the idea of helping others during the Holiday Season. If you would like to help others, please consider St. Vincent de Paul as a viable way to reach others in need. Assistance, through St. Vincent de Paul, is given without regard to race, creed, national origins, age or gender. The Vincentians respond to people who have called the hotline assistance number ( 920.922.3650 ), which is staffed by volunteers. By visiting clients in their homes, assessments are made to best provide direct financial help with food, rent, utilities, and other basic needs. Also shared with clients are a list of resources for local food programs, housing assistance, energy assistance, and health resources. For longer term financial solutions the Vincentians inform the client about community agencies which help with the finding of employment, financial budgeting, counseling, parenting and abuse. From October 1, 2017 – June 30, 2018 we made 2,503 home visits, and helped 8,539 people with total assistance of $349,849. According to Robert Hartzheim, Fond du Lac Council President, “Our administrative expenses remain low and are minimal. 95% percent of the money stays in Fond du Lac County. The only exceptions are the disaster funds that were donated for the hurricane victims, that we then forwarded to help those individuals,”. If you or a friend or family member would like to help us, help others, click here to learn about our volunteer opportunities. Since 1966, the Knights of Columbus Hall has has hosted thousands of events in Fond du Lac. That includes weddings, anniversaries, business meetings and, in this case, an amazing Christmas Party! The facility features a 300 person seating capacity with plenty of parking. There is a full service bar with seating for 82 guests. Bartenders are also provided at no extra charge! The food is always superb, served timely and hot. That’s impressive considering that they can handle 300 people at a time! If you are looking at hosting a small or large event and like the idea of having s full service bar, a huge lot of parking and great service, the Fond du Lac KC Hall is for you! For those of you that aren’t aware, you don’t have to be a member to rent out this amazing facility!